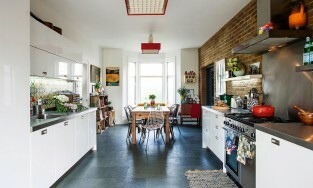 The Natural Slate Company is the UK’s premier natural slate tile specialist, supplying over forty different and uniquely coloured flooring slates from around the world. 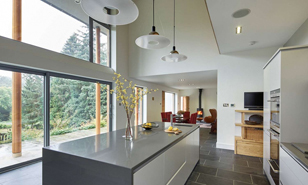 The Natural Slate Company is the UK’s premier natural slate tile specialist. We stock all the natural slate tiles in our own dedicated warehouse, every order is packed by our experienced staff and can normally be dispatched within 48 hours. 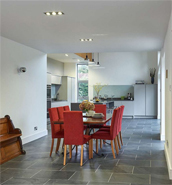 Riven flooring slate – This product has a natural riven surface, these vary from very lightly riven Brazilian slates with the least texture, through to the rustic slates which are very heavily riven, creating a rustic farmhouse characteristic. Click here to go to riven flooring slate section. Honed slate – This is when the surface of the slate has been machined to be completely flat and smooth. The surface can be further polished to create a shiny finish. Honed slates generally do not have a shiny appearance. Click here to go to honed slate section. Chipped edged slate – This is when the slates have hand cut chipped edges, rather than diamond sawn straight edges, this instantly creates an aged antiqued appearance when laid. Click here to go to chipped edged slate section. Tumbled Slate – This slate has been sawn to size, and then put into a rotating drum rounding off the sharp edges, giving the tiles a softer almost worn appearance. Click here to go to tumbled slate section. We also supply a selection of the above riven and chipped edged slates in a thicker more robust size, better suited to withstand our British weather. These are either a nominal 30 mm thickness suitable for driveways and heavy traffic, or a more competitively priced nominal 20 mm suitable for slate patios and pathways. Bullnosed steps available from stock and bespoke bullnosing for all Slate and Quartzite paving. Click here to go to riven paving slate section. We also stock a range of premium paving stone, consisting of riven, honed, sandblasted and tumbled Paving stones suitable for patios and paths driveways. Click here to go to premium stone paving section. For those looking for a competitively priced product we also have a range hand cut Indian sandstones in the most popular colours ideal for patios and paths at extremely competitive prices. 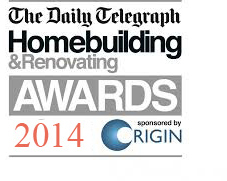 Click here to go to sandstone paving section. It is not generally recommended to use the thinner flooring slates externally, as they may not be robust enough to withstand the British elements.